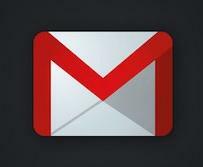 July 31, 2012 Google Inc. released the modified version of Gmail app for iOS devices on their facebook page. Honestly, I didn't explore it yet but it looks nice and neat, and pretty much faster then any other mail application. They have made several changes to improve the experience of sending and receiving emails, for example, you may send your handwriting as an attachment to the email as well as other attachments off course. The use of this application specially when your attaching something is way much better than the normal email application on iPhone. Get alerted to new messages with push notifications and sounds. auto-complete email addresses from your Gmail contacts or select from your device's address book. Upload photos with a click using the new attachment button in compose view (instead of coping and dropping the photos in your email). On iPad, navigate your inbox and read your mail simultaneously with split view. When you viewing a picture attachment, you can use a long press (touch and hold) to save it to your photo library. Pull down your inbox to refresh (just like twitter). Swipe right to view labels without leaving your inbox (similar to facebook app). This application is available for iPhone, iPad and iPod touch through this link. Story behind Apple Logo being Up Side Down !